Fresh red currants are available for a short time, we like to use that time profusely. 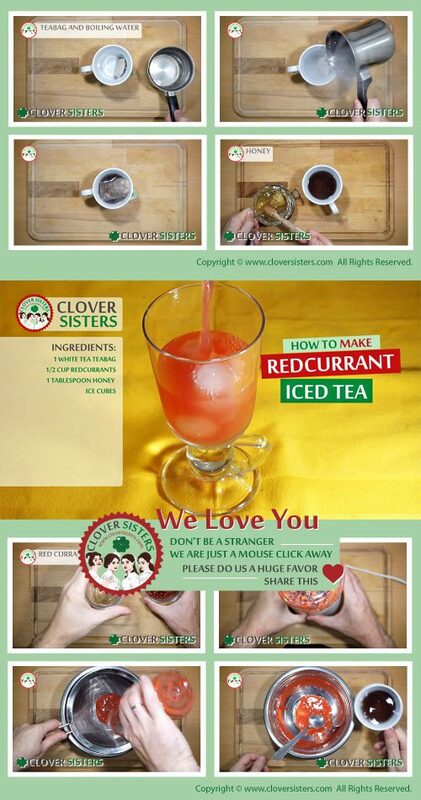 Redcurrant iced tea is a perfect way to stay hydrated while enjoying delicate taste of refreshment. Pour boiling water over the tea bag, let it soak for about 3 minutes and then leave the tea to cool down. Made a puree out of the red currants in a blender. Strain it to remove pulp and add into the cold tea. 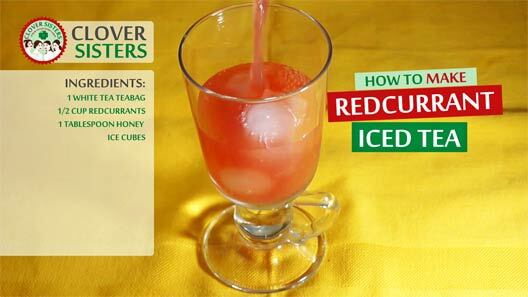 Serve with ice and honey.